EASY INSTALLATION – This bicycle handlebar extended pro mount is easy to use and install. Designed for strength and durability, this bicycle pro mount adapter is manufactured using high-quality CNC machined aluminium. TheGoPro Head Strap QuickClip includes a head strap and GoPro's QuickClip. Together, they support a variety of head-mounting options. The QuickClip enables compact, low-profile mounting, and it can even be used to attach your GoPro to a backwards baseball cap or any other 0.12 to 0.4" thick object. Fitting Instructions =Simply thread the lariat through the device fitting. 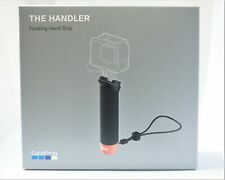 This is brand new wrist strap for GoPro Hero 2 3 3 4 5 camera Remote. Please refer to the pictures. This unit has been thoroughly inspected and tested by our in-house, factory-trained technicians. As a result of the technicians' professional handling and care, the unit has been returned to factory specifications. You can expect a fully-functional unit. .
For enhanced stability, an anti-slip pad is used on the back plate for grip. Compatible with all Peak Design plates except for the DUALplate v1, allowing for objects such as GoPro, lenses, and binoculars to be used with optional accessories. Whether bike-riding, surfing, or engaging in other athletic activity,GoPro 'sHand Wrist Strap lets you capture the action while keeping your hands free. GoPro Hand Wrist Strap. Can be used in and out of the water. Condition is New. You can use the tripod with the selfie stick. 1 pistol grip. 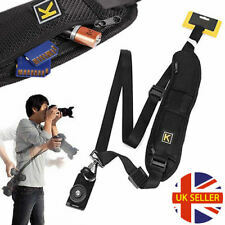 Brand new high quality Velcro wrist strap to suit GoPro Hero cameras also works with Kaiser Baas cameras and many other action cameras that use the GoPro mounting system. Fully adjustable strap with foam pad for extra comfort. Colour: Black Compatible with all GoPro models from Hero all the way through to the latest Hero 7 model. We also stock a huge range of other accessories for GoPro and action cameras and you can find us online at Accessory Pro Kedron. 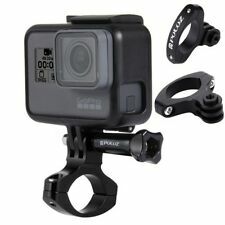 One of Australia’s most recommended GoPro accessory stores with over 100 - 5 Star reviews on Google. You can wear this strap while surfing and bicycling,frees your hands for other activities. ULTIMAXX GoPro Wrist Strap. – The Wrist Strap mounts inner layer fabric is made with breathable fabric material that ensure wearing comfort. This could help the victim in multiple ways. The setup is easy and quick! CAPTURES REARVIEW – This bike seat mount enables rear-facing shots, including riders riding behind you, natural beauty you are passing through, and anything else in your rear view. BLACK NECK STRAP LANYARD FOR GOPRO HERO 4 3 3 2 SESSION SJCAM SJ4000, SJ5000,SJ6000 SJ7000 XIAOMI YI NEW V126 . Wear them when hiking, swimming, skiing or diving. Super lightweight and durable, the strap is ready to connect to ALL GoPro. Compatible with all GoPro models. Waist strap adjusts from 25" to 67" (at full stretch). Genuine GoPro Chesty Chest Harness. 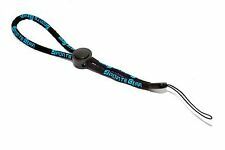 This GoPro Compatible, adjustable elastic head strap mount belt is a great way to capture any recording with your GoPro, taking the video from the perspective of the head very closely mimics what the eyes are seeing so the viewer will be given even more of a feel for what it was like to be there and experience the fun you were having. GoPro Chest Strap. Will Fit Hero 2 3 4 5 6 & Hero. Clip On Adjustable Strap. GoPro Hero 5 Session. GoPro Hero 5. GoPro Hero 6. Accessory only. 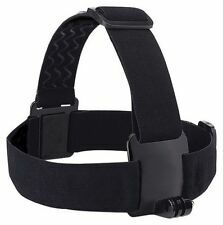 New Chest Strap Mount Adapter For One Size Fits All adjustable chest strap mount allows for use on various body types. 1 x Chest Strap Mount. 1 x Thumb Screws. • What Happens If I Buy The Item and It Does Not Work??. • Receiving faulty item?.